outdoor parking available for everyone at 900mt. 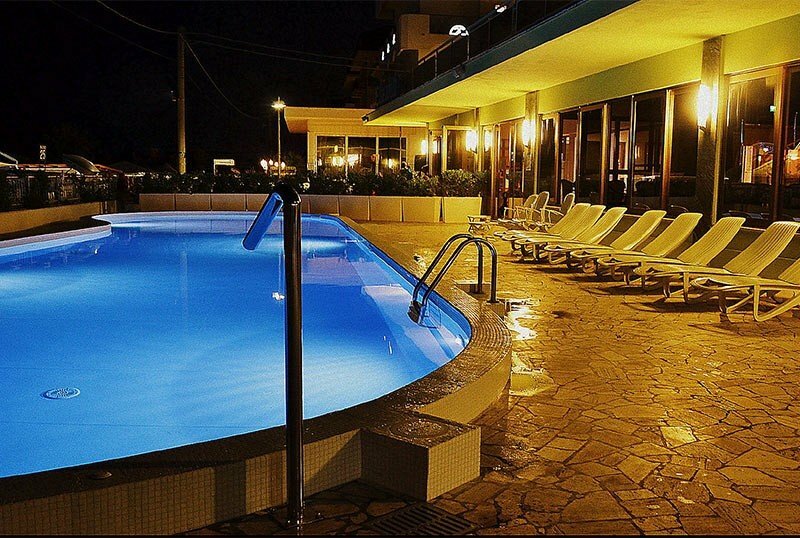 Hotel Elizabeth , located on the seafront of Bellaria Igea Marina, offers many services including heated outdoor pool, hot tub, fitness and wellness center, WI-FI and free parking. Admits pets of all sizes. Located on the seafront of Bellaria, the hotel is located directly on the beach and a short walk from the town center. The hotel is also a few hundred meters from the Bellaria railway station. The hotel offers 5 types of rooms, almost all with a balcony overlooking the sea, air conditioning, Wi-Fi, safe, satellite TV, telephone, minibar, king-size bed, afternoon cleaning, bathroom with shower or tub. phon. DOUBLE : with all the services listed. TRIPLE : with double bed and sofa bed. QUADRUPLE : with double bed and bunk bed. FAMILY : room consisting of two communicating environments. The main one is equipped with a king size double bed and minibar and all the facilities already listed. The second room contains 2 more beds. DOUBLE PLUS : room overlooking the sea with large windows and all the services listed. Seafront swimming pool and jacuzzi, solarium, bicycles available, gym and relaxation area with relaxing infusions and teas, 24 hour reception, lounge with satellite TV, bar, lift, dance evenings with entertainment for adults and children, beach towel available, service Shuttle. Equipped for cyclists, it has a paid laundry service. PARKING : free access for all guests to 900 meters, garage with 15 seats. AIR CONDITIONING : common areas to rooms. BREAKFAST : buffet, to be enjoyed also by the pool, with both sweet and savory specialties accompanied by cappuccino, tea, coffee and hot chocolate until 10.30. LUNCH AND DINNER : buffet lunch with a wide choice of appetizers, first courses of meat and fish, typical dishes of the Romagna tradition, local and international wines, beers and drinks. VARIATIONS : vegetarian and gluten-free cuisine. In hotel : strollers until exhaustion, indoor playground area, swimming pool with shallow water, bottle warmer, live entertainment, baby / mini / junior club, baby sitter service and pediatric consultation on request. At meals : high chairs at the table, kitchenette available, dedicated menus and baby food. On the ground floor guests will find a heated swimming pool of 40 square meters with variable heights (from 120 to 180 cm). In addition a hot tub is available. Both overlooking the sea. The hotel has an agreement with the Bagni n. 24-25. For all bookings made before May 15th, Hotel Elizabeth is pleased to offer a 10% discount on the total !!! We love those with clear ideas!